The Charlotte Lynx daily ridership has stagnated 16,000 daily boardings over the last 7 years while the area’s population grew 17%, having no net effect on reducing traffic congestion. Even accounting for ‘choice riders’ those who would give up their cars in favor of Lynx, the changes in gasoline prices has had no effect on daily ridership. 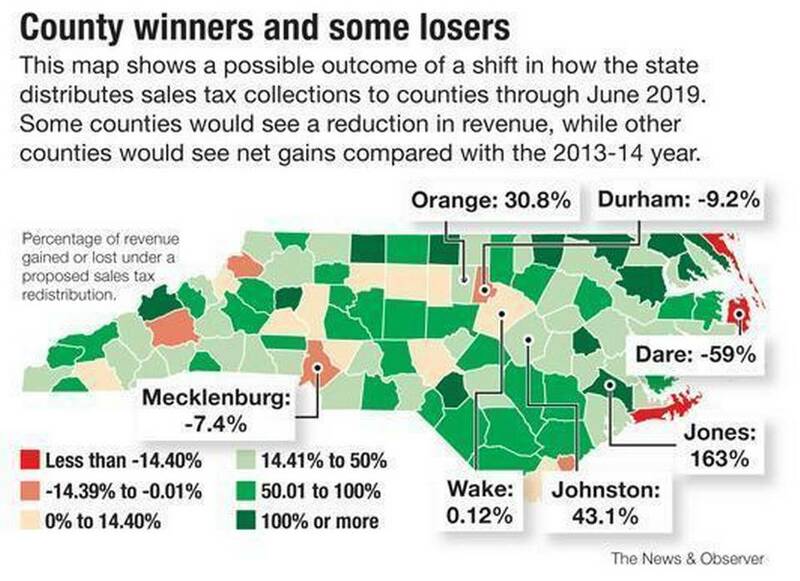 Further compounding Charlotte’s tax revenue problems, the NC Senate’s new proposal would split (sales-tax) revenues, with half staying in the county where the sale took place and half then distributed based on county population. The change would take effect in 2016 and wouldn’t be phased in gradually over several years, as in the previous bill. Reference: HB 117 §105-472. Allocation, distribution, and use of taxes collected.